Plays find their life on stage. They also die on stage, just when the curtains come down. Still plays live on the pages of text. That’s how it gets transported to different parts of the world, to different readers and theater enthusiasts, to find another life on stage somewhere in front of a new set of audience. 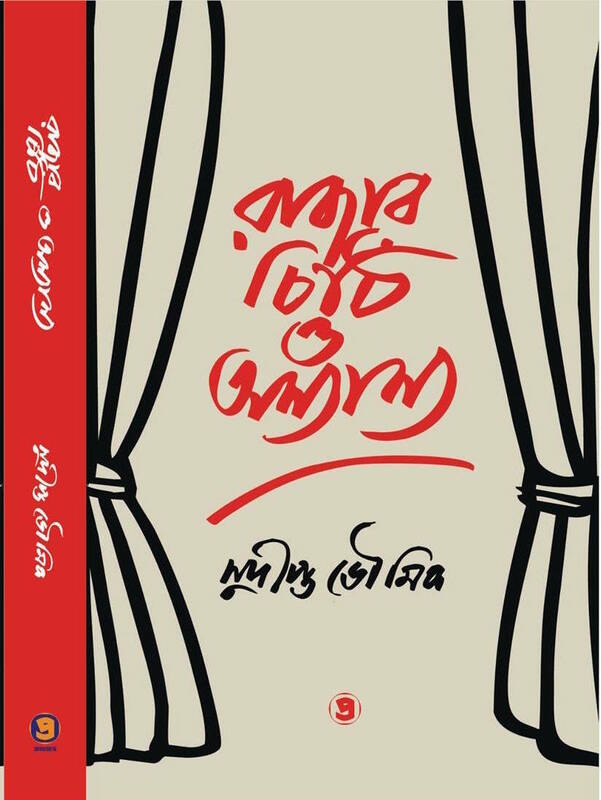 With this hope, to reach out to theater and drama enthusiasts around the world, a new collection of my plays have been published – “Rajar Chithi O Anyanya” by Pratibhas a well-known publisher of Kolkata. 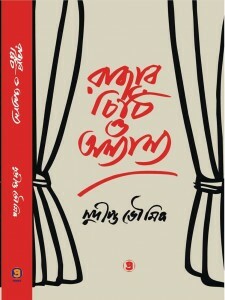 The book is now available in USA from Amazon (click here) and in India from books stores where Bengali books are sold. The book consists of seven of my plays, some new, some not so new. The play “Rajar Chithi”, which I wrote on the occasion of Rabindranath Tagore’s 150th birth anniversary, is about an incident which stayed hidden in the pages of history until I stumbled upon it by accident. Although the story depicted in the play is fictional, it is based on Rabindranath Tagore’s visit to San Francisco in 1916 and the failed attempt to assassinate him by the Indian nationalists. The play was staged in New Jersey and now it is in production in India. The play “Palok” is about childcare issues in America. An eighteen month old child is removed from his parents by the Child Protective Services (CPS) in suspicion of child abuse and neglect. The parents claim, that the child’s injury was caused by a minor fall, contradicts the medical diagnosis. The couple seeks help from their friends in their time of distress. The friends extend their helping hand to get back the child from CPS custody, but was this the help the parents were looking for? The play received huge acclaim from the audience and critics. Besides New Jersey, the play has also been staged in Bengali, English and Tamil in Chennai and Delhi. “Ekti Gnaye Thaki” is a popular play that tells the story of a brother and sister in USA. The play asks some pertinent questions about relationships. What makes a family? Who are our family members? What expectations do we have for our family? What are our demands? Do we all live in a village of strangers? The play above all, irrespective of its specificities of time and place, is a commentary on what it means to be a human being in relation to those we hold dear in our lives. Staged first in 2010, in different parts of the country, the play is being revived again due to popular demand. “Banaprastha” tells the story of our eternal fight against taboos and ignorance. A senior Bengali virologist returns to India, after retiring from his medical practice of 35 years, to find peace, tranquility and solace amongst his family and old friends. But soon he discovers that his nemesis has followed him and he has nowhere to hide. “Cassandra Othoba Hoyto Ekti Chairer Kahini” is a seriocomedy about our futile attempt to cling to our past and ignore our future. The play tells the story of Shankar, a middle aged empty nester, who one day finds himself stuck to his old chair. “Beej o Brahma” is a small play that talks about gender inequality over the ages, especially in knowledge-based careers. “Muktir Khonje” is another small play about a seven-year-old boy and his visiting grandfather who tries to plan for an escape from his luxurious prison. If you have not seen the plays, maybe reading them from the book would be a good substitute. If you have, then maybe the book would serve as a memento to remember and enjoy the play in a different form.